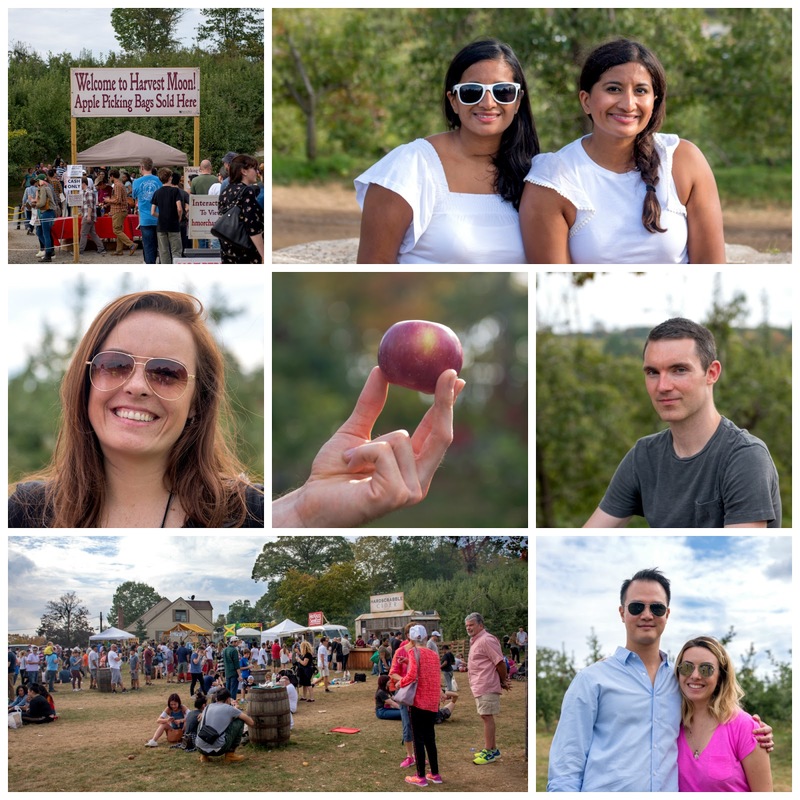 Earlier this month, we visited Harvest Moon Farm and Orchard in North Salem, New York during their big Fall Festival. The festival features apple and pumpkin picking, live music, food vendors and hayrides. The festival is also kid friendly with pony rides, face painting and a bounce house. We are excited to share our day with you. Harvest Moon is a family owned apple orchard in North Salem. Their main apple harvest is in September, and they have wonderful festivals on weekends during the Fall. This farm is easily accessible from NYC via Metro North to Croton Falls. The farm is a short 2 mile Uber ride from the train station. We spent several hours walking through the apple orchard and pumpkin patch all while enjoying the yummy food and live entertainment. Harvest Moon is perfect for adventures with families or friends. Some farms/orchards price apples by the pound, but at Harvest Moon adults pay a flat fee of $30 per bag, which admits up to 5 adults. $30 per bag (holds approximately 25lbs) | Admits 5 into the orchard | If your group is larger than 5 persons, you can either purchase additional picking bags, or pay a $5 admission fee per extra person. Early to mid September is prime apple picking season. You will find the most varieties of apples then. By mid-October, many trees will be picked clean but you can experience the beautiful changing leaves and Fall foliage. So make a decision – are you there to pick the best apples or see the best Fall foliage. Depending on your answer, we can make a recommendation about September or October. Pro-tip, grab an apple picking basket to get the apples higher on the trees- especially helpful for your shorter friends! We sipped on fresh apple cider and devoured freshly baked cider donuts. There are lots of other homemade treats available for purchase, including jams, breads, pies and deep fried Oreos. Although we occasionally picked apples using an apple picking basket, we often just grabbed apples with our bare hands. Some farms are only about apples, while others focus on pumpkins. Harvest Moon includes apple trees AND a pumpkin patch. The pumpkin patch was adorable and a great photo op. We also enjoyed the live entertainment, featuring a local band. There were also bounce houses, trampolines, pony rides and face painting for the children. We highly recommend a day trip out of the city to Harvest Moon Farm and Orchard, where the apples are plentiful for the picking. Stay tuned for what we did with all of these delicious apples!